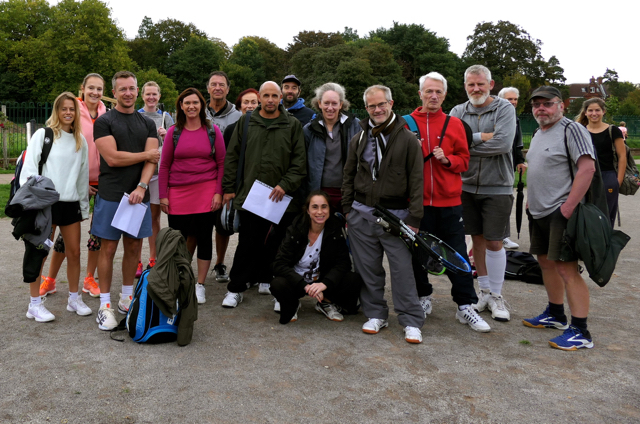 Jon Lightbody writes: Well, Saturday was a day of true Parks League grit and determination. 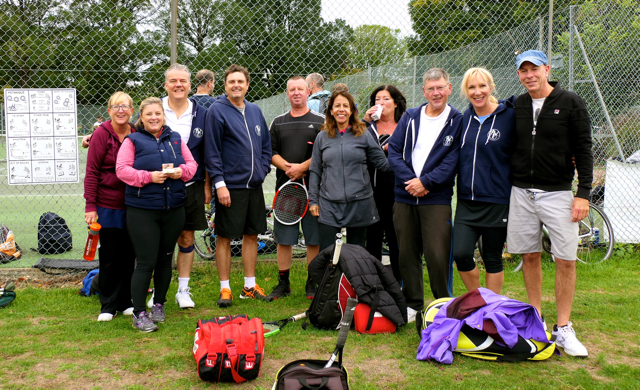 This year saw the End Of Season tournament played at Preston Park for the first time. 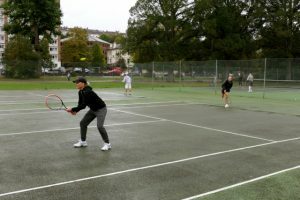 With one eye on the forecast, 66 players arrived at the Park just after 10 am to participate in what is now the fifth End of Season Tournament. Clubs represented on the day were Blakers, Dyke, Hove, Queens, Park Avenue and Saltdean. With play scheduled to start at 10.30, of course it was starting to rain. In true Parks spirit the question became not are we going to play but how long can we play for? As play began the eyes were taken off the weather and focused firmly on the tennis ball. With teams split in two groups the competition was under way. Group A started off with a Dyke v Dyke A match, and Group B with Blakers v Blakers A. 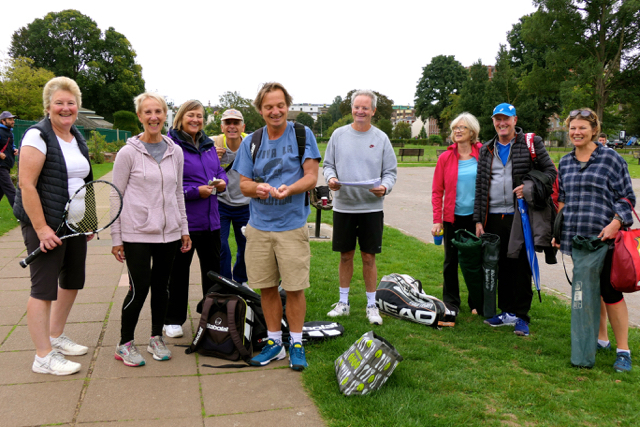 After 15 minutes the whistle blew for the end of the first games and already the eager players were on their way to the courts for their first match of the day, and the first results started to come in to Rita Mullins. And so the morning session progressed with fairly frequent showers but no sign of anyone thinking about giving up. I though, scanning the rather damp players in small groups waiting with anticipation for their next match, was necessarily concerned. As the results started to tally up it seemed things were going to be close. 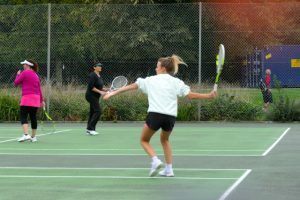 In Group B Susy Pettit’s Hove B had made a strong start to be closely followed two points behind by Peter Miller’s Blakers team. 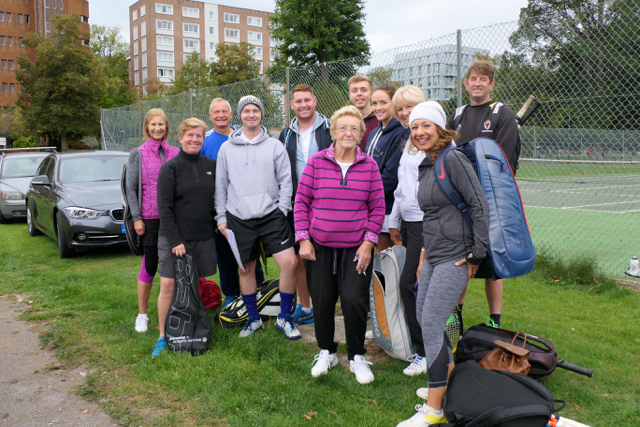 In Group A Alan Sanchez’s Queens team were just nudging ahead by one point over Dan Travis’ Park Avenue team, but Rob Bromley’s Dyke and Penny Telford’s Hove A were just one point behind Park Avenue. Things were running smoothly, apart from the temporary loss of my whistle and a flat phone battery that meant I had no stop watch until I got the battery pack on! 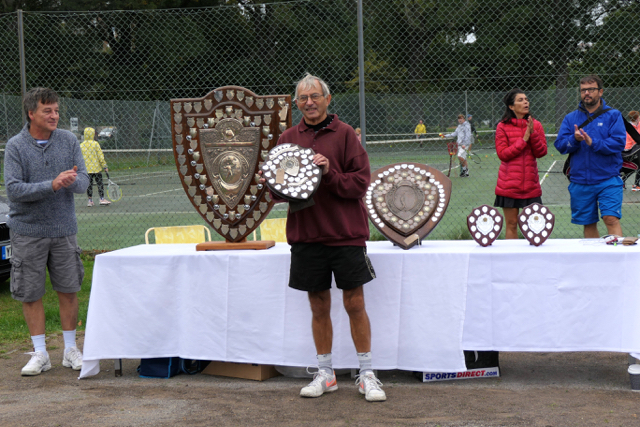 I had already decided the night before that, due to the weather, we would present the League Trophies at lunch time instead of the end of the day. With increasingly persistent rain I decided to bring this forward by an hour. So, after a hasty call to our President Mike Jenner, the presentation took place just after midday. 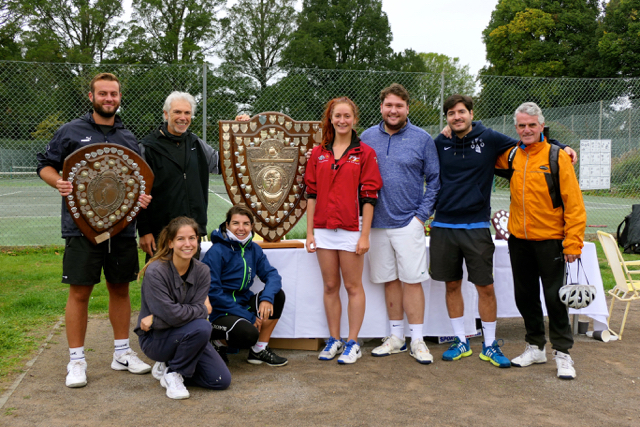 First Trophy up was the Fourth Division, this year deservedly won by Blagss putting them back into the Third Division after a disappointing 2017 season. Sadly no one from Blagss was able to attend for the day. The Third Division this year was won by Saltdean B with Mike Jenner presenting the Shield to Steve Bye. 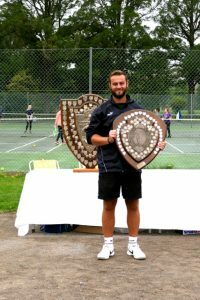 The Second Division Shield was won by Queens A with team captain Sam Waller-Carr collecting the trophy. Finally the First Division Shield, being presented for almost the 88th consecutive year (there were a couple of years off for the Second World War! ), gave Queens Park a double for the year. Alan Sanchez collected the Shield on behalf of Queens. With the day almost half way through and the rain still coming the question had to be asked – can we still keep playing? There was little hesitation from all the teams – yes! Play resumed again by 12.45 despite balls being like cannon shot and the courts becoming more like home for ducks than tennis players. However, eventually there had to come a time when we just couldn’t fight the weather any more. By 2.15 we had to admit that play was now impossible, impracticable and potentially a little slippery: play was suspended. In Group B Hove B had consolidated their lead by this time and it was unlikely any one could catch them. Queens had a firm grip on group A, but with most teams still having two more matches to play anything could have happened. Sadly there was no possibility of having a result so the records must show no overall winner, though morally I think victory could be claimed! What is most striking about the day is that, given the obvious weather forecast, 66 players still turned out with the determination to make the day work, and stuck it out until it was almost impossible to keep going. My admiration and thanks goes to all of them. Behind the scenes I would like to thank Rita Mullins for all her work for the day – providing tennis balls, sorting out entry fees and score keeping, Naomi Anderson for her input and sorting out the order of play, Mike Jenner for presenting the Trophies, and to the coaches and regular groups including Stanford who gave up the courts for the day so that we could run the Tournament. It wasn’t the best of conditions but it was a great day – see you all next year!